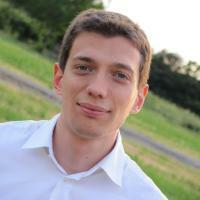 Lorenzo Baraldi is an Assistant Professor (RTD-A) at AImageLab. He works under the supervision of Prof. Rita Cucchiara and Prof. Costantino Grana, on Deep Learning, video analysis and Multimedia. Among his research interests, he has worked on Egocentric Vision and Gesture Recognition, Temporal Video Segmentation and Retrieval, Saliency prediction, Video Captioning, Visual-Semantic alignment. He has served as a reviewer in IEEE Transactions on Pattern Analysis and Machine Intelligence (TPAMI), IEEE Transactions on Multimedia, IEEE Transactions on Image Processing, Computer Vision and Image Understanding and IEEE Transactions on Human-Machine System. Together with Prof. Costantino Grana, in 2017, he has organized the 13th Italian Research Conference on Digital Libraries. He is member of the Program Committee for ACM Multimedia 2017, in the Multimedia Search and Recommendation and Conflict of Interest tracks. He served as a reviewer for AVSS 2017, ICCV 2017, CVPR 2018 and 2019. As part of the Città Educante project, he has developed NeuralStory, an interactive multimedia system for video indexing and re-use. In 2016, together with Prof. Rita Cucchiara, Prof. Costantino Grana and Dr. Simone Calderara, he has been author of the winning proposal for the Facebook AI Research Partnership, with which AImageLab has been selected as one of the 15 world-class research labs in Europe to receive a GPU-based server. In 2017 he worked in the FAIR (Facebook AI Research) lab in Paris, under the supervision of Hervé Jégou and Matthijs Douze. He is a member of IEEE, ACM and CVPL, the Italian Association for Computer Vision, Pattern Recognition and Machine Learning.